Who's Taking the Panglao Airport Seriously? Sometimes, people think make-believe stories are true because they are repetitively told. Okay, GMA was in Bohol sometime middle of this year because she laid (to rest?) the time capsule to signify the start of the airport construction at Panglao. Okay, she and her confreres said that the airport will be funded from the national budget because her government had loan savings equivalent to 2.2 billion, 1 billion of which will be used for the Panglao airport. Okay, Governor Aumentado boasted that the economic internal rate of return of the proposed Panglao airport is 23.6%, by far exceeding NEDA’s required 15%. But were they really serious? Since the time capsule ceremony, for whatever that was worth, nothing else moved in Panglao (thank heavens! ), besides the desperate buying and selling of land, brought about by speculation and fear. Some sources said a bulldozer just paved a few meters of earth just so to make the impression that something was going on for GMA’s visit. Interestingly, I monitored the national dailies that day and watched a few of the newscasts in two of the popular stations in the country and not a single line mentioned an airport, just the highly publicized cabinet meeting. So was she really serious? GMA also proudly said that the airport will be constructed without foreign loan and the interest savings will make do her promised counterpart. That, she said, 4 months ago. I do not know if she will say the same thing now, especially that the Department of Finance reported a widening budget deficit in July this year, equivalent to 15.4 billion pesos, and a cumulative deficit of 34 billion pesos, or after the worsening economic crisis of the United States, her donor government. Was she really serious or she just plainly underestimated her Boholano audience that fateful 20th day of May? Governor Aumentado, echoing the words of his ally also boasted that the study conducted by the TCGI Engineers reported a 23.6% economic internal rate of return. UP economist Dr. Ernesto Pernia questioned this claim and demanded for a copy of the study. Dr. Pernia’s major contention was, if this was indeed true, then there would have been any problem for the project to get low-interest loans that would have freed government resources for other more ‘poverty-reducting’ projects. Also, he questioned why a group of engineers were the ones who assessed the financial viability of the project. But if Governor Aumentado was referring to the documents prepared by Luis Mallonga, Andrelita Sto. Domingo, Cholly Ferolino, Roswel Marasigan, AA Bruce, Cynthia Nario, Ricardo Pinoy, Eugenia Luztre, Ma. Lina Diona, and Bayani Lusica, of the TCGI Engineers with office located at Jaka II Building, 150 Legaspi Street, Legazpi Village, Makati City, I wonder where the figures came from. The team does not have an economist nor an accountant, and contains only all the questionable assumptions of an environmental impact statement on the Panglao airport. Was he really serious? If it was not the same document, and another one was really prepared, where is it? Dr. Pernia and his group demanded for these documents and a dialogue with the governor. But were the documents made available and has the dialogue really happened? Now tell me, who is taking the Panglao Airport project really seriously? What the?!!! it's all publicity most likely. From a cost benefit analysis and economic perspective, having an international airport in Panglao is not viable both in Bohol. Why spend million of pesos where you have one close, in Cebu. By having an Int'l airport in Panglao, government is killing the fastcraft industry and denting the airport revenue in Cebu. It will be doing more harm than good. 1. No viable market. Tagbilaran is not even in the top 10 airports in the country in terms of passenger traffic. 2. 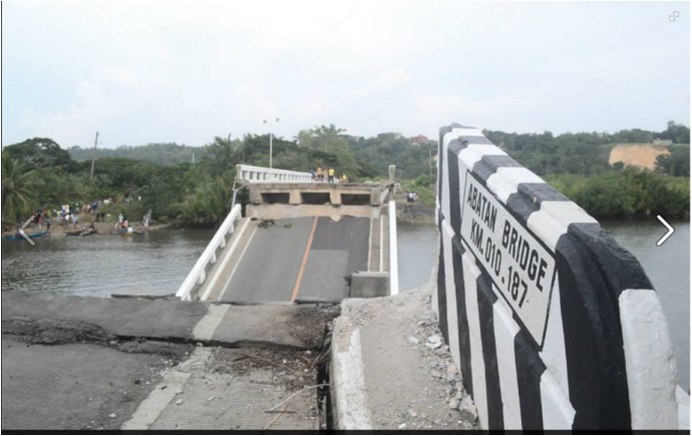 Support infrastructures in Panglao (or Bohol) are not in place. 3. ROI is eventually nil. No stupid investor would spend billions of PHP (or USD in equivalent amount) and get nothing in return. Charity has its limitations. 4. Develop Caticlan or Kalibo and make it a gateway for Boracay where ROI is sure to come. i think panglao island is not a good idea. who would want to relax in panglao with noisy aircrafts in the background! Just redevelop the old one, perhaps build a new terminal, and thats it! I've been having this article on my site for years: Proposed Panglao International Airport makes no Sense. Hi Jeroen. Walked myself through your piece and very impressed as to how you positioned your arguments. Amazingly though, after almost two years now, tides have changed. Some of those I mentioned to have said something against the airport in the above piece already gave an approval to the airport. and now they are saying, it is a domestic airport, with international standards, whatever that means. the congestion at the Tagbilaran airport makes the case for a new domestic airport more pressing. i just arrived from the US yesterday and of the four legs of my flight, it was only in the manila-tagb trip that we got a landing problem. reason? traffic congestion. three planes at tagbi airport with 45 minutes landing-take off difference. we were 30 minutes suspended in air. so an airport in panglao? maybe? but not the way it was originally planned.